Gessie Thompson is one of the 90% of Black Women affected by fibroids by age 50. She personally battled the epidemic for 14 years and the resulting infertility for 10 of those years to have her miracle baby Nia. Her grueling journey included 10 surgeries, five IVF cycles, a devastating miscarriage and even her heart stopping on the delivery table. Her story gained national attention when ESSENCE published her profile titled “My Fertility Journey” in the 2014 Mother’s Day issue sparing a chain reaction of transformation that included releasing her bestselling book HOPE BEYOND FIBROIDS: Stories of Miracle Babies & the Journey to Motherhood, becoming a Nutritional Health Coach and co-founding both the C Elimination Program and The Detox on her mission to end inflammatory diseases such as Fibroids, Diabetes, Heart Disease and more by educating and empowering women to cure and prevent disease holistically. From diet to stress management, her transformative holistic Hope Beyond Fibroids Elimination and The DeTox programs teach lifestyle changes that have resulted in the documented cases of one woman alone eliminating up to 50 MRI documented fibroids without surgery, women having miracle babies—including one case involving 12 years of infertility—and the reversal of inflammatory disease such as Diabetes, High Blood Pressure, High Cholesterol and more. 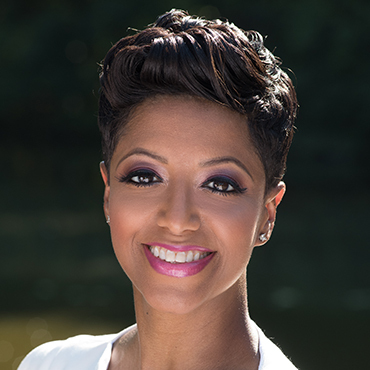 Thompson was named a 2017 Shining Star by Congresswoman Yvette Clarke and has been recognized as a “Change Maker” for her work around Women’s Reproductive Health by The White House’s United State of Women. She was a featured panelist at the 2017 State of Black Women’s Health Congressional Briefing at the U.S. Capitol. Thompson has shared her message at ESSENCE Festival alongside Real Housewives of Atlanta darling Cynthia Bailey, T. D. Jakes’ MegaFest, Circle of Sisters EXPO, the National Action Network’s inaugural Women’s Summit, the Get H.I.P.P. About Your Health Conference in the U.K. and across various media platforms including “The Breakfast Club,” Women’s Health, Office of Women’s Health Blog, USA TODAY WEEKEND, FOX, ABC, “NewsOne Now with Roland Martin,” “HuffPost Live,” “The Tom Joyner Morning Show,” ARISE TV, “The Frank Ski Morning Show,” MadameNoire.com, CoCoFab.com to name a few. She is a women’s health contributor to BlackDoctor.org and Roland Martin’s AllThat.TV.